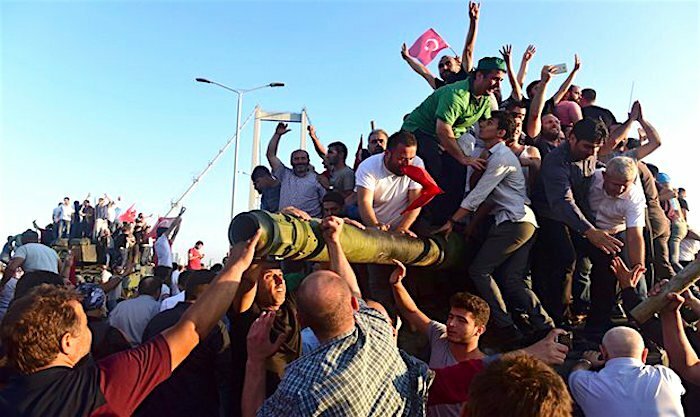 More than 100 Turks have requested asylum in Greece following the failed military coup attempt last July in Turkey claiming that they are facing persecution in their country for being linked to the attempted coup. Most recently two families have illegally entered Greece and are now requesting asylum, according to the AP. Reports show that on Wednesday Greek police arrested a Tunisian and Moroccan man for smuggling the Turkish families into Greece by crossing the Evros river from Turkey. Sources have said that the Turkish families smuggled into Greece consist of two men, three women and a 1-year-old boy. The families have been detained and there is no further information available at this time regarding their asylum request.